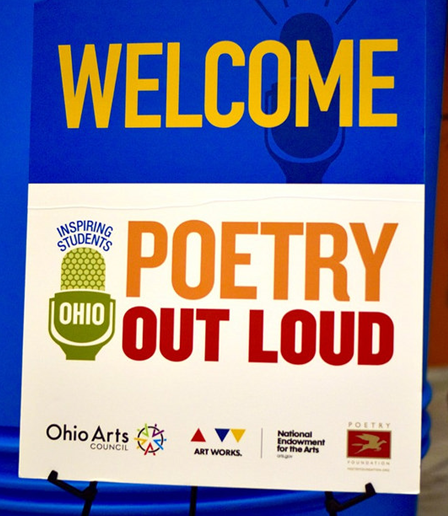 On Saturday, February 24, 2018, the Ohio Center for the Book at Cleveland Public Library (OCFB), in partnership with the Ohio Arts Council, hosted the Poetry Out Loud Northeast/Cleveland Ohio Regional Semifinals. in the Louis Stokes Auditorium. It was a day where five students performed in an auditorium before a general audience that included family members, teachers and friends. Each student had to choose and memorize two poems, being careful to adhere to strict guidelines while in performance. The program started with introductions and comments by Amy Dawson, Manager, Literature Department/Ohio Center for the Book; Chiquita Mullins Lee, Arts Learning Coordinator, Ohio Arts Council, and poet Kisha Nicole Foster, OCFB Poetry Out Loud Fellow, who was also Emcee. The performances of all the students were impressive–captivating the audience with their talent and skill. Afterwards, everyone enjoyed refreshments and cake! 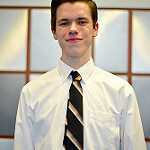 Click here to view/print/download the event’s program. The Northeast/Cleveland Region Finalists. OCFB, in partnership with the Ohio Arts Council, is pleased to announce Alex Flood, first place winner and Peyton Wood, second place winner, as regional finalists for the 2018 Ohio Poetry Out Loud poetry recitation competition. 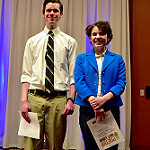 These two students have progressed in competition at the Northeast/Cleveland region and will represent the region, their schools and communities at the Ohio Poetry Out Loud State Finals on Saturday, March 3, 2018, at 2:00 p.m. at the King Arts Complex Nicholson Theatre, 867 Mt. Vernon Avenue, Columbus, OH. 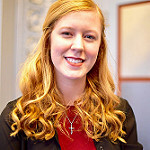 For more information about Poetry Out Loud State Finals, click here. The Ohio State Champion will then advance to the National Poetry Out Loud Finals in Washington, DC, which will be held April 23-25, 2018. Good luck, Alex and Peyton!